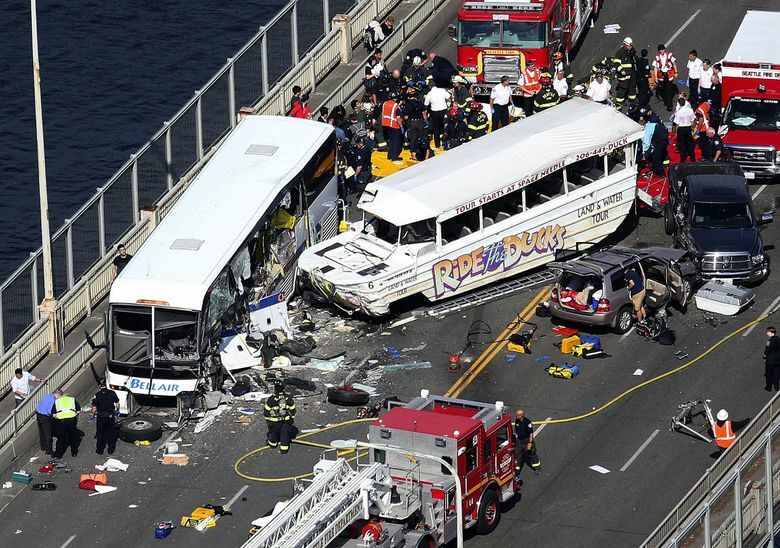 A civil lawsuit filed on behalf of 42 people who were injured or killed in the crash, names Ride the Ducks Seattle, Ride the Ducks International, the City of Seattle and the State of Washington as defendants. 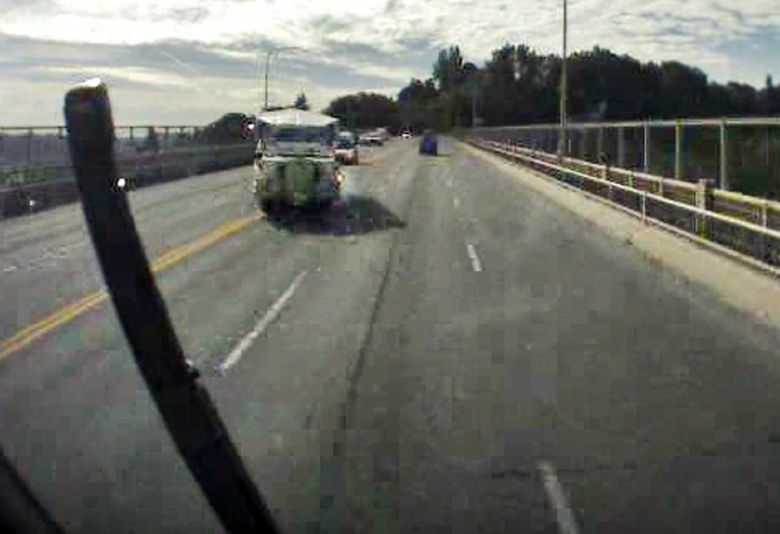 The fatal crash of a Ride the Ducks amphibious vehicle on Seattle’s Aurora Bridge three years ago was an “inexcusable tragedy” and not an unforeseeable accident, said the lead attorney for more than 40 victims of the crash in opening statements in a civil lawsuit on Tuesday. 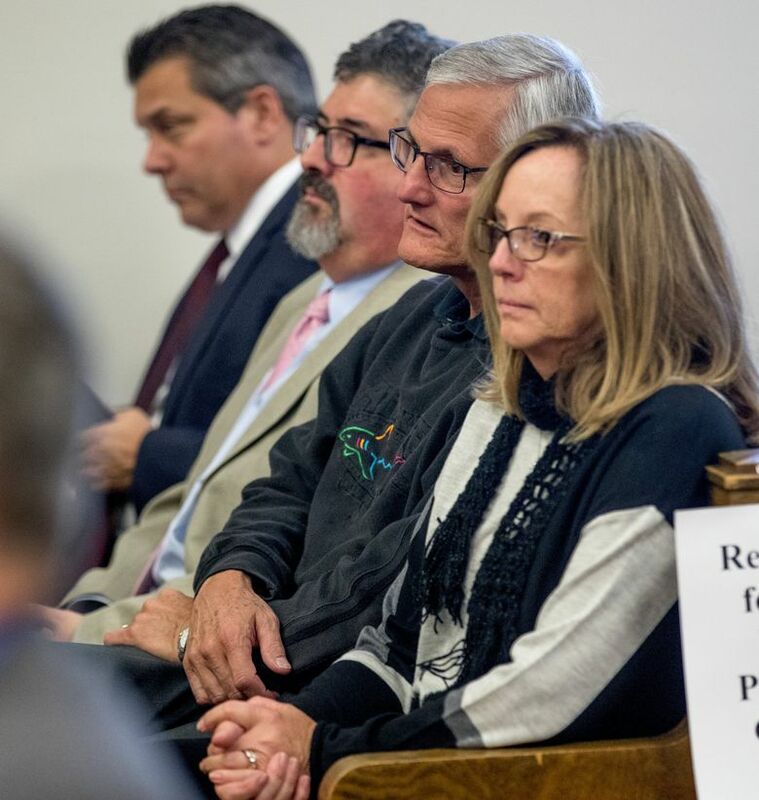 Plaintiffs’ attorney Karen Koehler told a King County Superior Court jury at the onset of a civil trial that’s expected to last six months that there is plenty of blame to go around. “Choices were made, decisions were made, that cost lives,” she said. 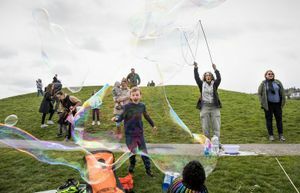 The 2016 lawsuit was filed on behalf of 42 people who were injured or killed in the crash, and names Ride the Ducks Seattle, Ride the Ducks International, the City of Seattle and the State of Washington as defendants. In all, five people were killed and more than 60 injured in the crash involving a tour bus and a Ride the Ducks vehicle that swerved into oncoming traffic, apparently after a mechanical failure, on Sept. 24, 2015. Attorneys for Ride the Ducks International and Ride the Ducks Seattle both implied to the jurors that the other was at fault. Jack Snyder, an attorney for Ride the Ducks International, said his client was the only one among the defendants who “saw an issue and did something about it,” sending out a 2013 service bulletin that described how to enhance the strength of the wheel axle on the vintage World War II amphibious vehicles. Of all the licensees and customers who received that bulletin, only Seattle failed to follow through and make the recommended changes, Snyder said. Meanwhile, Ride the Ducks Seattle claimed that Ride the Ducks International peppered them with service bulletins containing trivial information, such as detailing an attractive way to tie side curtains. Attorneys for the city and state elected to give their opening statements after the presentation of the plaintiffs’ case. Koehler, who delivered her opening wearing a captain’s hat and speaking at times as if she was a Ducks tour guide, said the former owner of Ride the Ducks International jury-rigged fixes for the World War II era vehicles, scavenging parts from junkyards and old vehicles, though he was not a mechanic or an engineer, she said. Ride the Ducks Seattle, a licensee of the Branson, Mo.,-based Ride the Ducks International, is alleged to have failed to heed a critical 2013 service bulletin that advised owners of the vehicles to add a metal collar around a potential weak point in the wheel axles where fractures had been found. The service bulletin, sent in October 2013, said the fix should be done “as soon as practical” and before 2014, Koehler said. 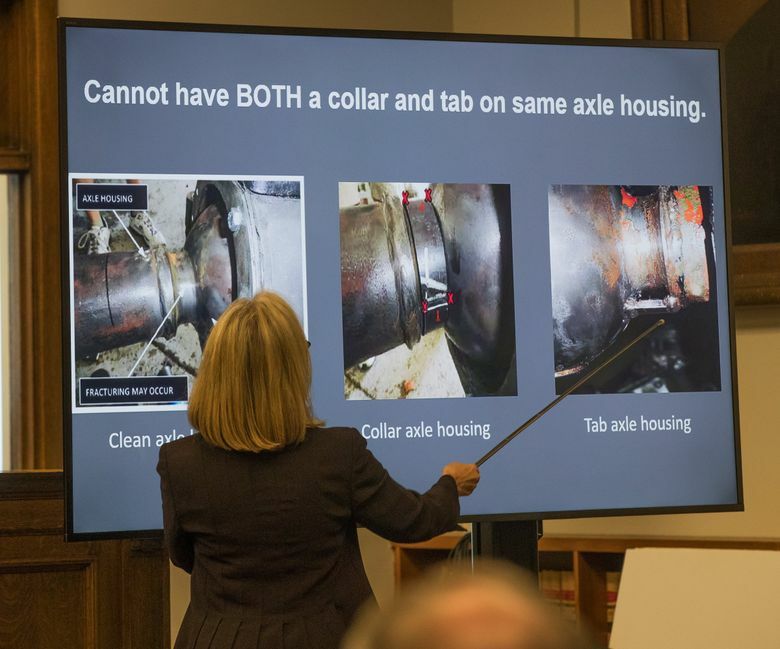 The Washington State Department of Transportation and the Seattle Department of Transportation also bear responsibility for the crash, she said, as both knew a median between the north and southbound lanes of the Aurora Bridge was needed to improve safety. 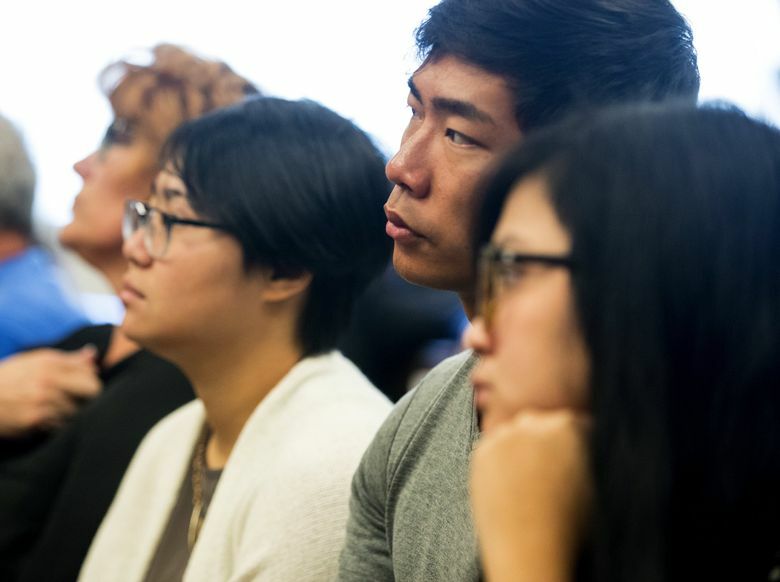 Had there been a median there on Sept. 24, 2015, Koehler said, then perhaps when the axle broke and the Ducks vehicle veered left, it might not have crossed the centerline and collided with a charter bus carrying international students from North Seattle College. 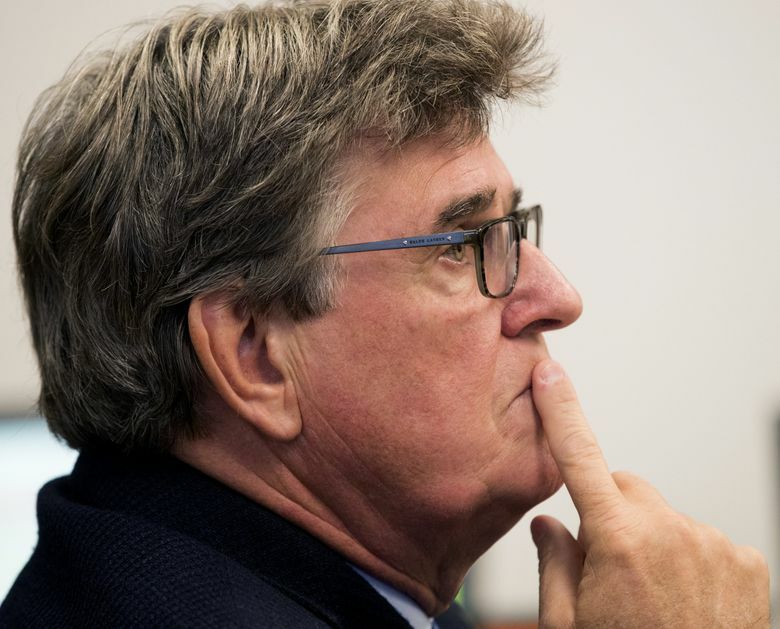 Tourists on the Ducks vehicle were ejected through the windows and students on the charter bus were flung about the cabin “like rag dolls,” said Koehler. An investigation by the National Transportation Safety Board later found that the crash was caused by mechanical failure, improper maintenance and loopholes in federal oversight. Ducks Seattle admitted to the 159 critical safety violations and 304 record-keeping violations and agreed to pay $222,000 in penalties to settle the state complaint. Two years ago, the Missouri-based Ducks company agreed to pay up to $1 million in civil fines for violating federal safety regulations. Ride the Ducks International, which built the Duck No. 6 that crashed in Seattle, entered into the federal consent order after admitting it failed to notify federal transportation regulators and issue a recall — as required — of its so-called “Stretch Duck” vehicles after discovering they potentially had defective front axles. Instead, Ducks International inspected and modified the affected vehicles it still owned and issued the service bulletin to licensees and other Ducks customers. Federal investigators also found the local Ride the Ducks of Seattle firm never made the recommended repair to Duck No. 6. That federal law, which generally applies to manufacturers of new motor vehicles, requires them to notify the NHTSA and take other measures when discovering potentially defective parts that jeopardize vehicle safety. 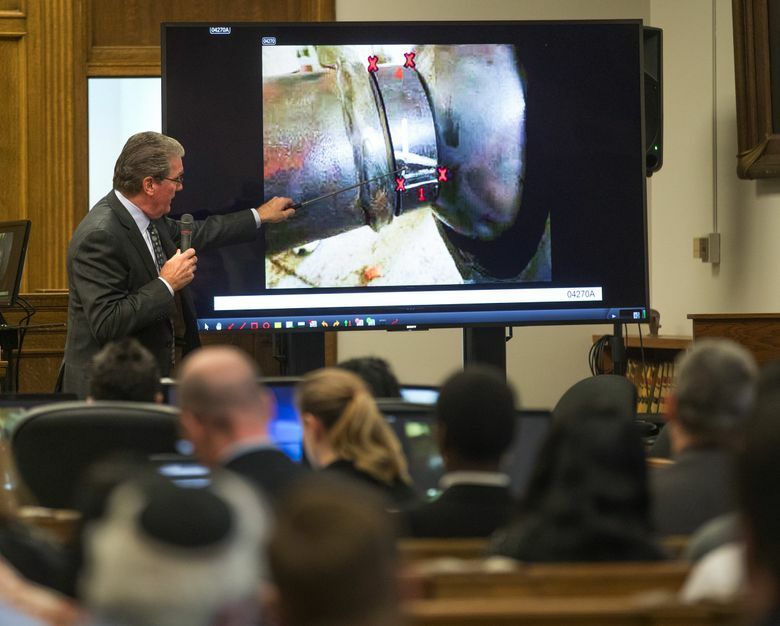 Earlier this year, the Seattle agreed to pay more than $2 million to the families of 12 victims, although the city had argued that it should not be held liable in the suit because the state, and not the city, bore responsibility for bridge safety. The state also settled with those same 12 families. Questions have been raised about the safety of the amphibious Duck vehicles, and other fatal accidents have occurred. After 13 people were killed when a Duck boat sank in Hot Springs, Arkansas, in May 1999, the NTSB called for sweeping changes to the way such tourist boats operate and are regulated. This past July, a Duck boat was swamped when a sudden storm swept across Table Rock Lake in Branson. Of the 31 people on board, 17 drowned.